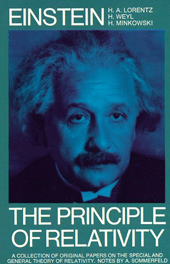 1905 – Albert Einstein publishes the article “On the Electrodynamics of Moving Bodies“, where he introduces special relativity. 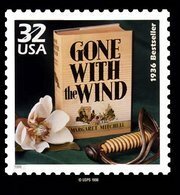 1936 – Gone with the Windby Margaret Mitchell published. worth reading • from the WSJ opinion page “The Battle of the Books” Steinbeck, Joyce, Milne, King: Who owns the legacy of cultural giants? naughty, nutty • Illinois officials have charged children’s author Charlotte Towner Graeber with providing “squalid and inhumane conditions” for more than two dozen pets. Guys – this is a mental disorder – it has little to do with anything ele. mitzvah • Jacksonville, FL State University’s Books for Baghdad program will be shipping more than 19,000 books to Iraq today. cookies • Author & Pulitzer Prize-winning journalist James B. Stewart, is the recipient of a Loeb award, the highest honor in business journalism. site worth seeing •the Bond Market, cool website that focuses on collecting James Bond books. The first Cape edition of each book is shown and described in detail. banktoaster • I kid you not, a periodic table of poetry with a poem for each element.